MEP Nessa Childers says she is disappointed that Eamon Gilmore did not personally get in touch over claims she was bullied. LABOUR MEP Nessa Childers has shared her disappointment that the party leader Eamon Gilmore did not try to reach out to her amid claims that she was bullied by other members of the party. Childers, a former Green Party councillor who joined the party in 2008 and was elected in the Ireland East constituency a year later, last week claimed she had been threatened by other party members over her stance on filling a key EU job. Childers had criticised the nomination of Kevin Cardiff, the current secretary-general at the Department of Finance, to a vacancy at the European Court of Auditors – given that Cardiff was in charge of the Department’s banking unit at the time the financial crisis hit. The MEP said she was warned she could end up in court if she stopped Cardiff from getting the job, being sued for loss of earnings – and that she could be expelled from the party as a result. 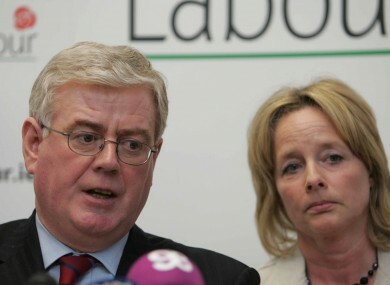 Yesterday Childers told RTÉ radio’s Marian Finucane Show that she felt there was a “failure of communications” within the party over the affair – but bemoaned the fact that she had not been contacted by the party leader. A party spokesperson said the matter had been referred to the party’s general secretary Ita McAuliffe, and was being dealt with internally. Cardiff’s nomination to the European Court of Auditors came under fresh scrutiny earlier this month when it emerged that he had overlooked a €3.8bn accounting error in the national accounts for 2010. If nominated, he will take a pay cut – down from around €200,000 in the Department of Finance to €180,000 in Luxembourg. Email “Childers bemoans Gilmore’s handling of Labour bullying claims”. Feedback on “Childers bemoans Gilmore’s handling of Labour bullying claims”.